If you require prescriptions for regular and continuing treatment, it is not always necessary to see the doctor each time. Repeat prescriptions are computerised and the tear-off slip at the side will indicate the date your review is due. Give 2 full working days’ notice. Please DO NOT telephone. Patient Access is available to ALL our registered patients. Once registered, you can order your Repeat Prescriptions online via your home PC or mobile device. If you're already registerd, click the orange Sign In button below to order your Repeat Prescription. A repeat prescription is a medication that your doctor has authorised on your file which can be supplied for a certain period of time on a regular basis without having to see your doctor each time. Repeat prescriptions are normally authorised for a period of 6 to 12 months but this may vary with the type of medicine and at the doctor's discretion. After this period you may be asked to attend a medication review before a further prescription is issued. Please mark only those items that you need by ticking each item on the WHITE SLIP within 7 days of running out. Do not tick items that you do not need. If you put in a request more than 10 days in advance of running out it may be rejected as too early and you will be expected to request it again closer to the point of running out. Then return this slip to reception 5-10 days before you are due to run out of your medication. Please give the Practice 48 working hours excluding weekends and Bank Holidays before collection. If this is a new medication requested by the hospital, please allow 72 hours before collection. Prescriptions requested after 6pm will be not be dealt with until the following day. Please allow sufficient time to order your repeat medication so that you do not run out. Please do not stock pile medication. We will not re-issue medication over 10 days in advance. Written requests: you can send a written request by post to the Practice with a stamped addressed envelope so that it may be returned to you. Email lewccg.g85003-general@nhs.net with your name, date of birth, address and the names of the medications you require. Patient Access - if you are not already registered please bring photo ID to reception and ask for your PIN and registration documents so that you can sign up to use our online services. Speak to your pharmacist to find out if they can order for you. May I ask the Pharmacist to collect my prescription? Yes. 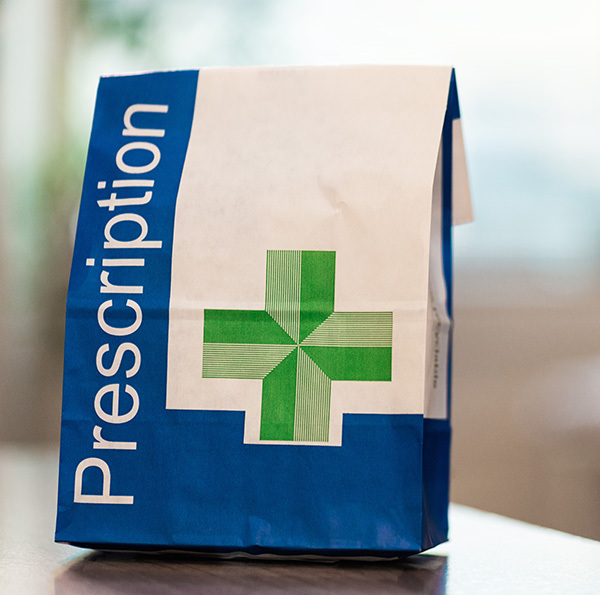 Many pharmacists run a prescription collection service from the Doctors Surgery. Please speak to your preferred pharmacist for information on the scheme. Please mark clearly on your white slip where you wish to collect your prescription from. Please inform us where you would like to collect your prescription, so that we can update our system. What if I need my medication urgently? We kindly ask that you place your request at least two working days before you run out of medication. However, if you have run out of medication and have been told that you should not stop your medication without consulting a doctor, a prescription can be issued urgently in exceptional circumstances. This will depend on a doctor being available to sign the prescription. Therefore, please be patient with our staff as you may have to wait. If the surgery is closed, your usual pharmacy may be able to dispense a small Emergency Supply of your medication until you are able to see your doctor. If your review date is overdue and your prescription needs reauthorising by the doctor before you are able to see the doctor/nurse you may need to discuss it with the doctor. You will be offered an appointment or telephone consultation for this. Please keep these urgent requests to a minimum. When will a medication not be put on repeat or taken off repeat prescription? Medications that are changing or we are adjusting the doses. When a review is needed or overdue: your doctor may stop your medication if it is considered unsafe to prescribe before a clinical review is completed. This is to ensure that your medication is correct, at the right dose and that you are the best from your medication. How do I get more medication that the hospital has recommended? If your medication has changed by the hospital, you should have been given up to 5 days supply of your new medication by them. If the hospital has given you a letter for the surgery please let us have this as soon as possible as it will contain the information we need to alter your repeat prescription. If they have written to us informing us about the change please allow a few days for us to receive this information. This will be processed by the doctor as soon as practically possible. Please allow 48 working hours excluding weekends and Bank Holidays to obtain your repeat prescription, 72 hours for hospital prescriptions. If you think you are getting side effects from your medication contact the surgery as soon as possible. Not all medication is suitable to be given as a repeat, this will be decided by your doctor. The usual amount supplied is also decided by your doctor. Only take the medication that your doctor has told you to take. Some medication that you can buy over the counter can affect your prescribed treatment. Please let the doctor know if you are taking regular drugs which you buy over the counter. Please only re-order medicines that you need. Stockpiling medicines may lead to waste if your medicines are changed or they go out of date. Please tell your doctor if you wish to stop any medication. Some medication should not be stopped suddenly. Do not share your medication with anyone else, or take anyone else's medication. This could be harmful. Always check instructions for storage. Store your medication properly, in a locked cupboard, in a cool dry place, out of reach of children. Dispose of unused medication responsibly. Take it to your usual pharmacy. They will dispose of it safely. Do not flush down the sink, toilet or put in dustbin.